Here we are...day 4 of Digit-al Dozen Does it Again! So fun, right? I joined the group in late November last year, so this theme was my first back in December 2012. Can I tell you how über nervous I was? Not only was it my first challenge with the group...it was my first challenge EVER. I was seriously bugging about it. LOL. 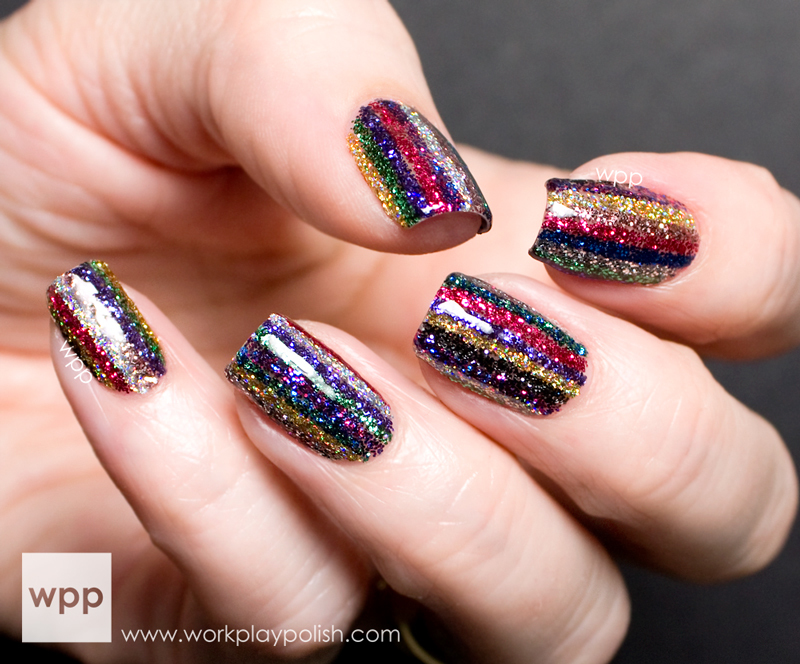 So first I'll show you today's mani, and then I'll show you my fave from last year along with a little fun fact! My brain cannot separate "festiveness" from "bling". Why is that? I'm not sure. In any event, my festive mani is incredibly basic. It's simply stripes. But not just any stripes. Again I used products from INGLOT's new Sparkles line. I can't get enough of these things. I used all 14 of their stripers. I'm out of control! Don't they look so pretty all lined up in The Mani Cave? While application wasn't so tough (I randomly used the stripers to dab on a dense line of glitter), I knew clean up would be a total bear. 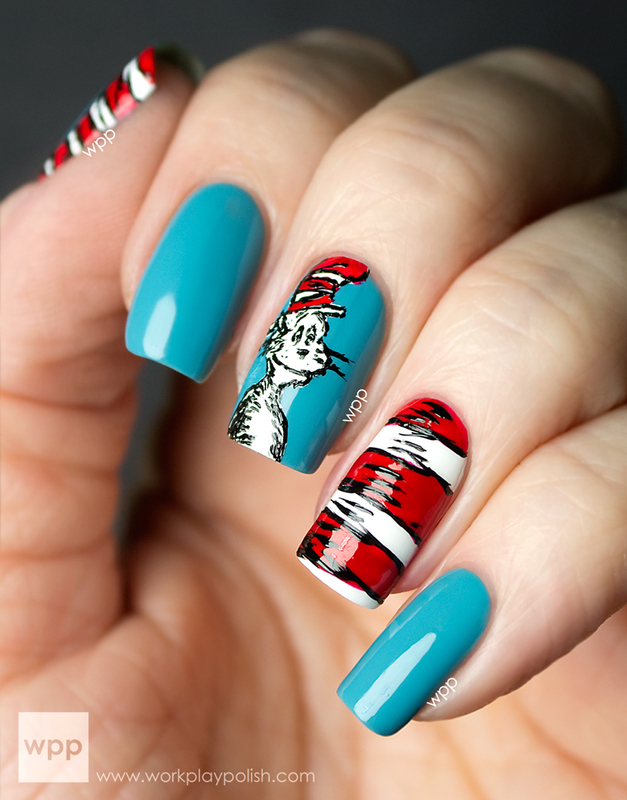 So before I started, I carefully put Aquaphor around the edge of each nail. 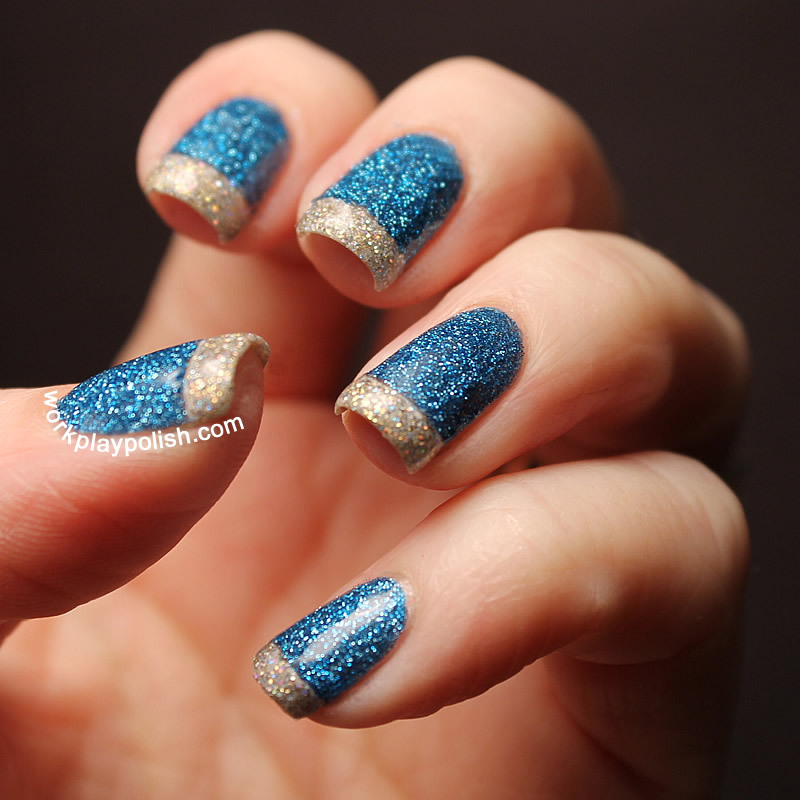 When I was done with the mani, instead of using an acetone soaked make-up brush to clean up, I used a thin cuticle pusher to scrape the Aquaphor and excess glitter from around the nail bed. I finished with two coats of Seche Vite. It's soooo crazy sparkly in person. 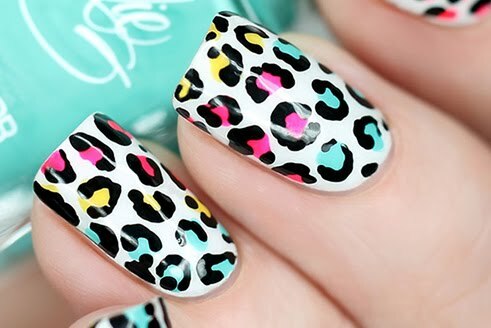 It makes me think of a carnival or a circus...which are totally festive. 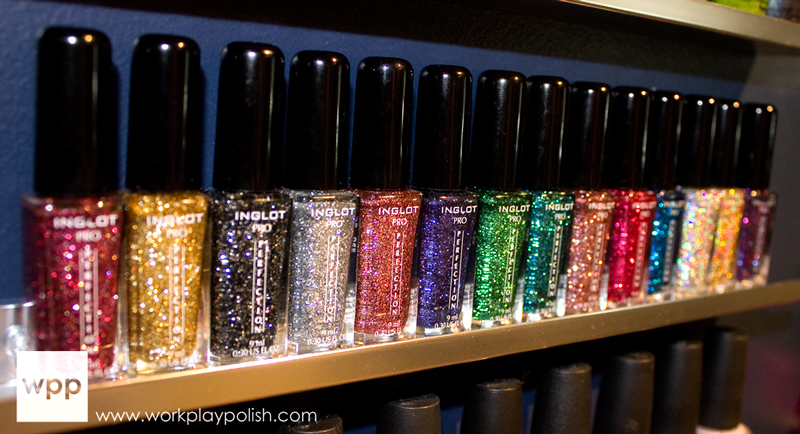 INGLOT Sparkling Nail Art Enamel retails for $10USD for a 9ml striper. INGLOT is available at INGLOTUSA.com and in INGLOT Boutique Locations: NYC, Las Vegas, Miami, Newport Beach, New Jersey and select Macy’s Department Stores. For additional information and store locations, visit inglotcosmetics.com.